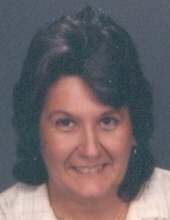 Audrey Marie Watkins, 77, passed away April 12, 2019 surrounded by her family in Pasadena, Texas. She was born in Houston, Texas to parents Audrey and Lydia Winsted on January 19, 1942. Audrey was a loving mother, grandmother and friend. She enjoyed her job caring for others as a CNA at nursing homes before she retired. Audrey is lovingly survived by her children, Lydia Henderson, Robin Henderson and wife Crystal, Billy Henderson; numerous grandchildren, great-grandchildren, extended family members and friends. Friends are welcome to join the family for visitation on Tuesday, April 16, 2019 at Carter-Conley Funeral Home. As per her wishes, Audrey will be cremated following the services. To send flowers or a remembrance gift to the family of Audrey Marie Watkins, please visit our Tribute Store. "Email Address" would like to share the life celebration of Audrey Marie Watkins. Click on the "link" to go to share a favorite memory or leave a condolence message for the family.